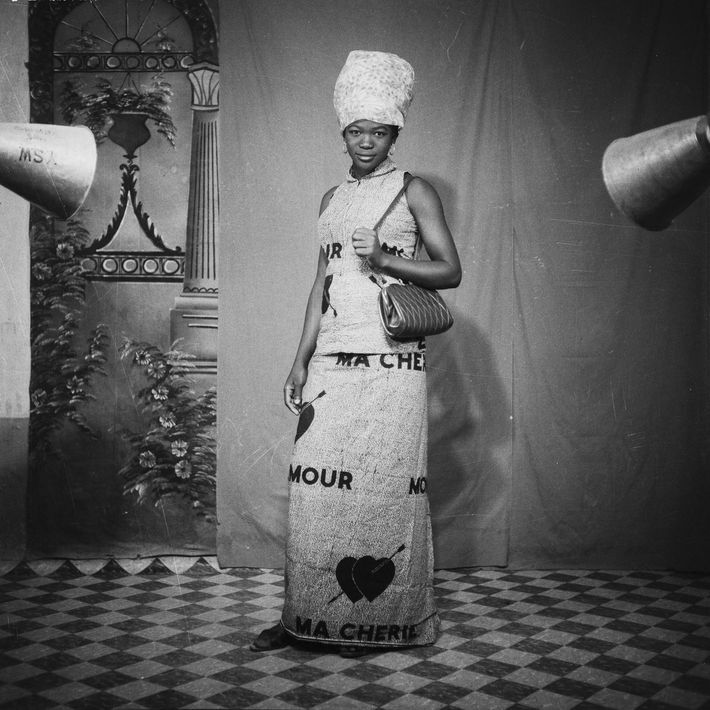 You’ve almost surely never heard of Sanlé Sory. 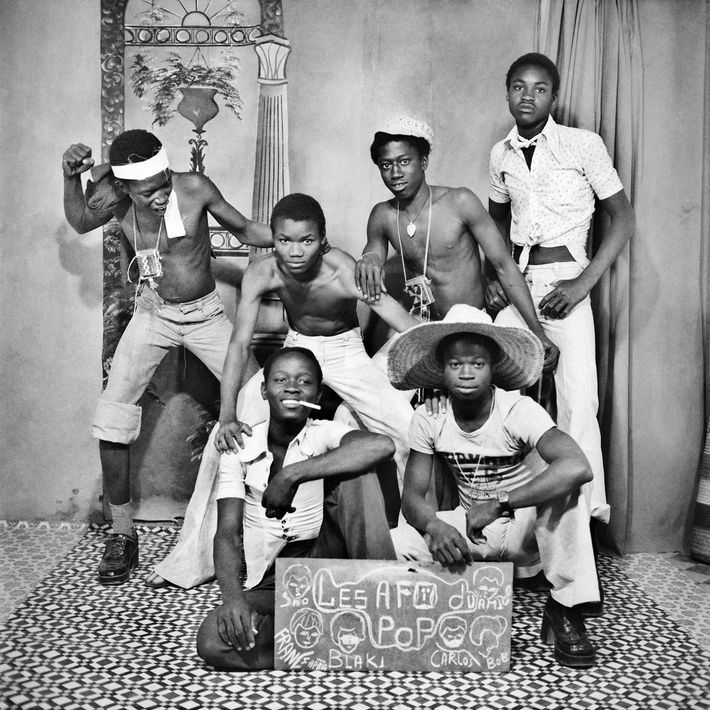 Beginning in the late 1950s, he was a neighborhood studio photographer in what was then called Upper Volta, one of only three or four in the city of Bobo-Dioulasso. 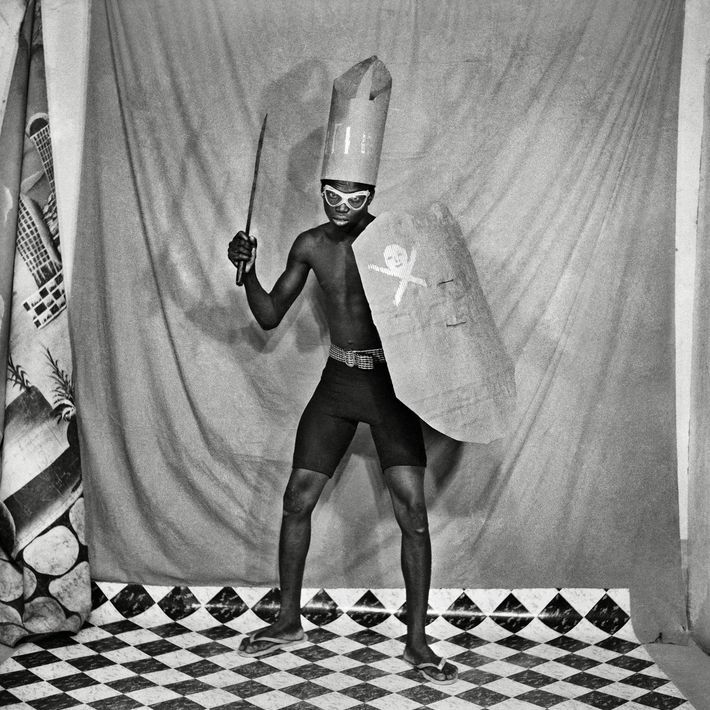 He worked in (as he recalled in a recent interview) “the second building in the whole neighborhood to have a modern roof and a backyard.” There he made lively portraits of his customers with inexpensive fabric backdrops and props, often jokily posed as pop stars or world travelers. 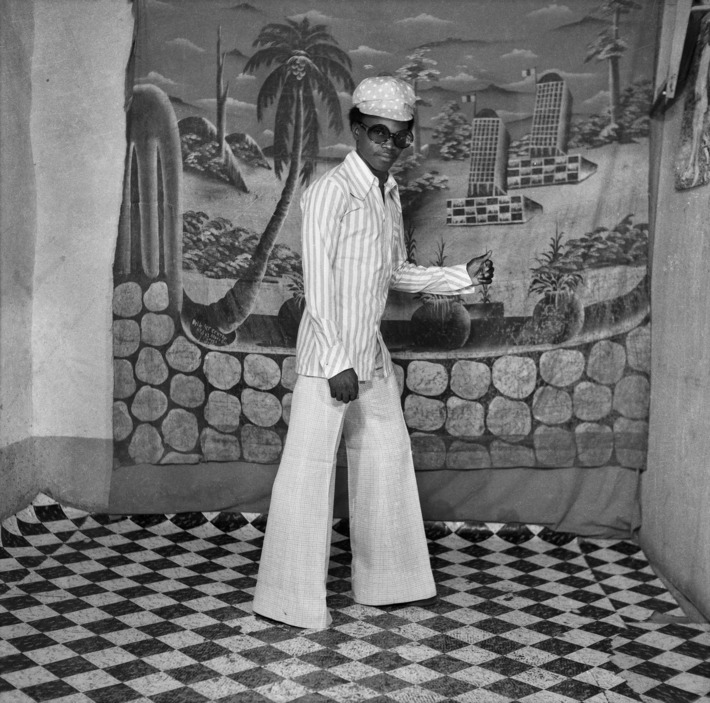 Over three decades, he created a huge body of work, exuberant pictures free of artistic preciousness but made with care. 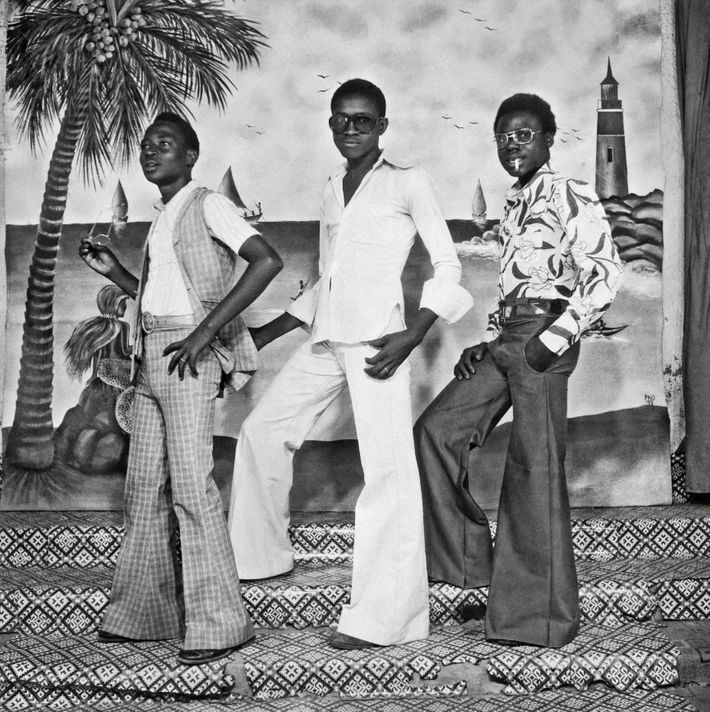 They form a sweet, intensively transporting document of everyday life in a rapidly changing place, as French Upper Volta became independent Burkina Faso, as pop-culture and fashion trends waxed and waned. Only in the past few years has his reputation spread, and this will be his first American exhibition. 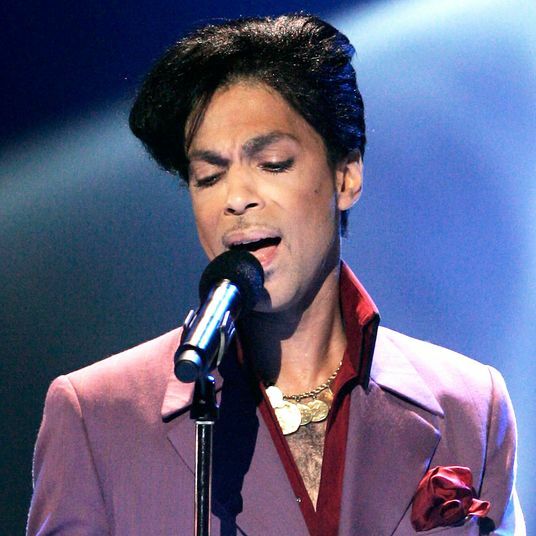 Now 75, the man himself will visit his show on April 28. 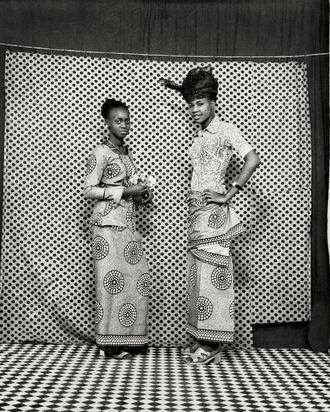 Sanlé Sory: Volta Photo is at Yossi Milo Gallery from April 24 through June 16.